Q: Tell us about your story in Bridging Infinity? What was the inspiration behind it? If you crack the ice on the right Arctic lake and toss in a match, you can set off a methane flare. The Arctic is warming because of global climate change. As it warms, the permafrost is melting. As the permafrost melts, it releases methane, which bubble up in Arctic lakes. And here’s the nasty bit: methane is a greenhouse gas that’s even more powerful than carbon dioxide. More methane means more warming, and that meant more permafrost melting, which means more methane and more warming…and so on in a positive feedback loop with negative consequences. When you asked for a story about a super-engineering project, the melting permafrost was on my mind. My friend Paul Doherty and I had recently written about the permafrost and a (real life) project called Pleistocene Park for The Magazine of Fantasy and Science Fiction. So I enlisted Paul in the creation of a project to save the world from the feedback loop of the melting permafrost. Of course, we started with an exploding lake. I have real life engineering friends who are creating the fundamental science behind what might turn into huge engineering projects to help save us from the arctic methane problem. I used their discussions together with my experience working with the scientists, managers, engineers, and crazed artists at McMurdo Station Antarctica to inspire our story line and more importantly paint a picture of the personalities of the people in our story. Good science fiction has characters and situations that expand and stretch your perception & understand of the world and your place in it. There is something expansive about good science fiction — it makes you step outside yourself, considering viewpoints alien to your own. And good science fiction makes you wonder: what will happen if…. And what happens is unexpected but at the same time strangely obvious. Good science fiction deals with unexpected consequences. 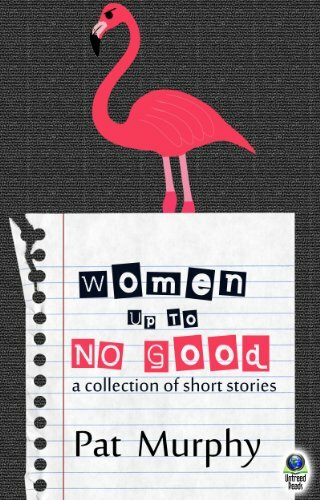 If you like this story, check out my short story collection — Women Up to No Good. I think two stories in that collection — “A Cartographic Analysis of the Dream State” and “Exploding Like Fireworks” — would appeal to anyone who likes “Cold Comfort”. And look for the science column that Paul and I write for The Magazine of Fantasy and Science Fiction, where we explore science that may become part of the next SF story! 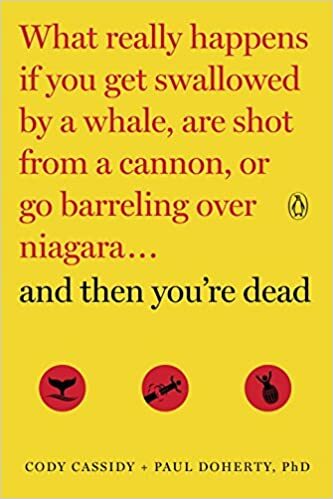 I am co-author of a non-fiction book with Cody Cassidy, And Then You’re Dead: What Really Happens If You Get Swallowed by a Whale, Are Shot from a Cannon, or Go Barreling over Niagara, which is due out in April 2017.